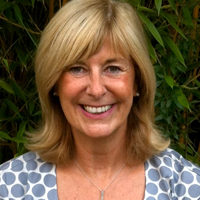 Dr Sue Pattison is a counsellor, supervisor and trainer with Sue Pattison Consulting, Sue was Director of a PhD programme at Newcastle University for many years and is now lecturer in psychology at Arden University. She teaches and researches counselling internationally, and has a busy counselling and supervision practice. She is a founder member of the BACP Counselling in Schools Research Consortium and joint Chair of the BACP Children, Young People and Families Division.